Our organization is involved in offering a comprehensive range of Construction Repair Services in tandem with the requirements and demands of our clients. By using diamond drilling technology, we efficiently carry out the processes like wall saw cutting, core cutting and the wire sawing for different grades of concrete cutting. Cooling Tower Services offered are handled by our experienced team of engineers and other associated staff that ensures the services provided offer best match to the towers. Owing to the expertise of our skilled and experienced professionals, we are able to offer Cooling Tower Repairing Services. 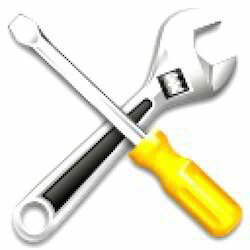 Offered repairing service is executed by using advance repairing tools & needs less maintenance. Our service authenticates and assures long functional life to cooling towers. Repair & Replacement Services are provided for every component of tower. We do this because commercially available components have not proved capable of withstanding the harsh environment of a cooling tower – nor do they contribute their share to the thermal capability and operating characteristics intended. Cooling Tower Repairing Service offered is handled by experienced professionals from the industry who hold expertise in flawlessly carrying out associated repair and maintenance tasks and are ready to provide prompt assistance to any industrial cooling tower repair/maintenance requirements. When was the last time you had your Tower AC Tune-Up You’re one call away from cool and comfort. Customers trust our services like Cooling Tower Repairs Maintenance, Cooling Tower Services and other similar services. We are a well known service provider in the field of Cooling Tower Repairs Maintenance and have a huge base of satisfied customers who we have built over a period of time by our industry leading quality and unmatched turn around times. Equipped with sophisticated design facilities and the latest software, we have the capability to test towers up to 800kV. Sujana Towers provides computerized engineering solutions, 3D analysis and design for optmising input usage. Repair And Maintenance Services crews are standing by 24 hours a day to provide immediate assistance to any and all your industrial cooling tower repair or maintenance projects.We provide technical knowledge for installing, servicing, trouble-shooting and repairing existing tower, condenser and cooler installations. 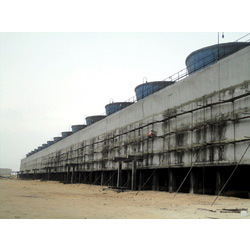 Installation & Repairing Of Cooling Tower. We are offering wide quality services of Lighting Tower Repairing Service. Our client oriented services are timely executed and as per specific of the client. We are able to satisfy to our valuable clients. Besides, we are supported by a team of efficient employees with diverse skills and knowledge to assist us in our activities.